The Fairfield County Writers’ Studio (FCWS) Westport CT. PLEASE VISIT FAIRFIELD COUNTY WRITERS’ STUDIO TO SEE OUR EXTENSIVE RANGE OF CLASSES AND FREE EVENTS TO HELP YOU WRITE AND GET PUBLISHED! FCWS co-founder Tessa Smith McGovern is an award-winning writer whose many publication credits include the Connecticut Review and the English Arts Council at the Southbank Centre, London. 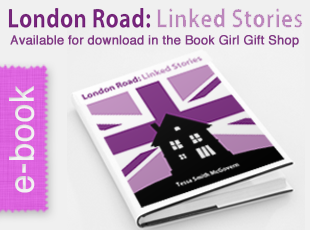 Her linked short story collection, LONDON ROAD: LINKED STORIES, is an Amazon best-seller and gold medal winner in the 2012 eLit Awards. 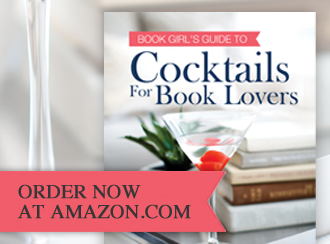 Her non-fiction book, COCKTAILS FOR BOOK LOVERS (Sourcebooks), is also an Amazon best-seller. She is founder and editor of eChook Digital Publishing, publisher of short-story collections and memoirs on iPhone, iPad, Android, Nook and Kindle. eChook won a silver medal in the 2012 eLit Awards and its stories have been read by thousands of readers in 100+ countries. Tessa is also host, writer and producer of BookGirlTV, an award-winning digital channel that promotes books and reading on all digital platforms and smart TVs. BookGirlTV has over 6 million minutes viewed on YouTube, 600 subscribers, and is partnered with Disney’s MakerGen Studios. An app called ‘BookGirlTV BUZZ’ is available on Android and iOS. eChook and BookGirlTV have 166 million impressions on Facebook, 10,000-plus Facebook likes and 2,000-plus Twitter followers. FCWS co-founder Carol Leonetti Dannhauser is a journalist (Columbia University) and editor whose work appears in print, online and on television. She has written for the New York Times, produced documentaries for PBS and was recognized by the White House for her work online. She is the author of four non-fiction books, has been nominated for three Emmys, and has a closet full of awards for her magazine, television and newspaper work. She was selected as a Master Teaching Artist in Writing by the Connecticut Commission on the Arts and founded the Writers’ Workshop of Fairfield in 2001. 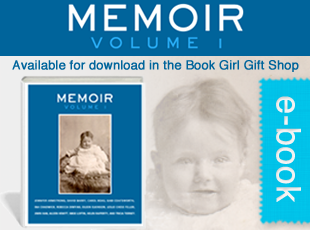 Carol’s non-fiction and memoir classes begin Jan 2016.